To many, the X-Class is the first Mercedes-Benz double-cab bakkie but the three-pointed star has in fact been building five-seater vehicles with a loadbin for much longer. And no, we are not referencing AMG’s ridiculous G63 6X6 double-cab. 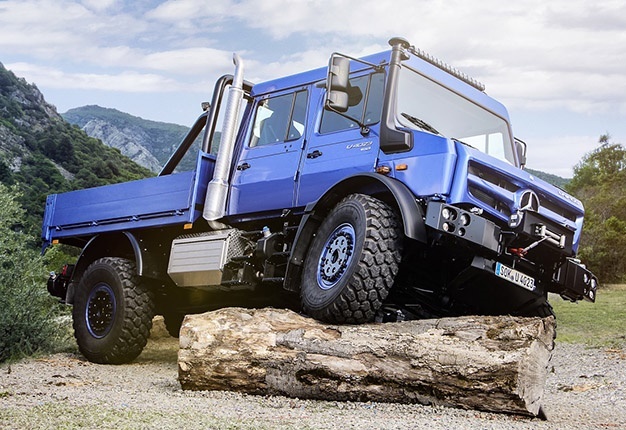 The vehicle in question is Mercedes-Benz’s Unimog, a design which started as an agricultural tool and evolved into the most capable off-road vehicle a private civilian buyer can acquire. 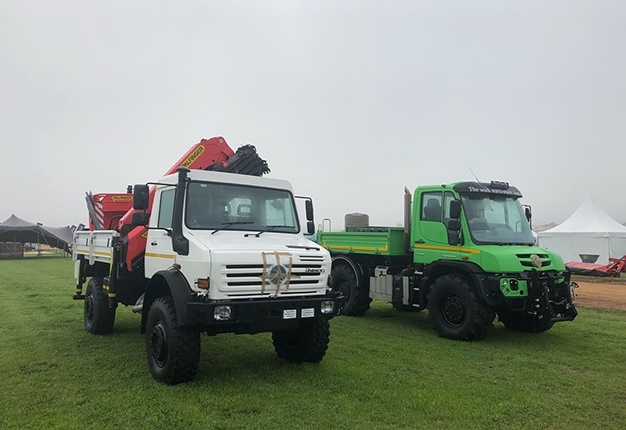 Although the first Unimog’s appeared comically undersized and underpowered, local farmers recognised their potential and in South Africa, the ‘Mog has become legendary. 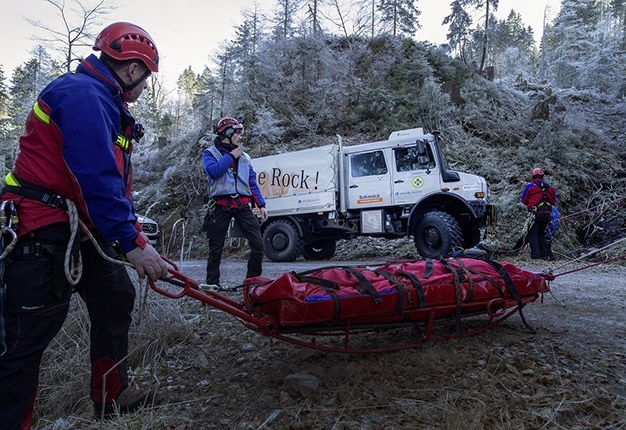 Across the world, in markets where there are mountain rescues to be executed or isolated powerlines which require servicing, those tasks befall the Unimog. Firefighting. Medical evacuation from the inhospitable terrain. There’s never a task too challenging for the Unimog. 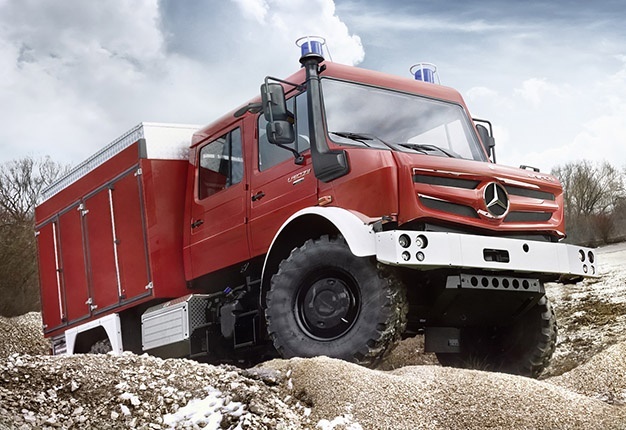 How did the Unimog become such a fabled 4x4? It’s certainly not due to a marketing fallacy. Mercedes doesn’t really spend money advertising these 4x4s as those who buy them, know exactly what they want and why. 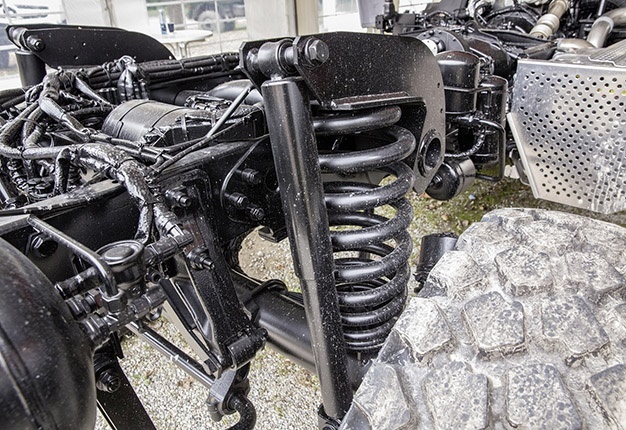 Unimog’s success can be attributed to a range of engineering features which makes it unique and more capable than any rival. If you need to get to places where there are no roads, chances are, you’ll need a vehicle with enormous ground clearance to roll over obstacles. In the post-apocalypse world, with debris having destroyed most roads, Mercedes-Benz’s ultimate bakkie will have no issues. A Unimog has ridiculous ground clearance, nearly that of a double-cab 4x4 bakkie, at 500mm. It achieves this remarkable statistic thanks to its portal axles, which drive a set of gears in each wheel, enabling the side shafts to be mounted a lot higher than the conventional wheel hub position, thereby clearing a handy margin of additional clearance. Beyond the fantastic ground clearance, Unimogs likes to crawl and they are remarkably good at it. In extreme off-roading the philosophy is ‘as fast as necessary, as slow as possible’ and with a crawl ratio of 3200, the modern Unimog continues a family tradition of applying maximum engine power at very slow speed. If the terrain requires, a Unimog will edge along at only 0.14kph. That means you could leave one 140m from your house, start-it in gear, get out, walk home, watch some the first half of a football/rugby game, and still be in time to get back into the cab and park it as the Unimog comes crawling onto your property. Often operating alone, in hostile environments, a Unimog must be capable of partly recovering itself if stuck. 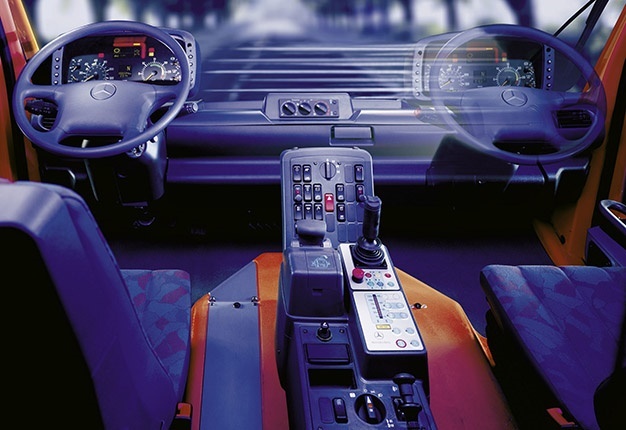 Mercedes-Benz engineers have enabled this by an ingenious first-to-reverse gear function called the electronic quick reversing system (EQR), which allows a driver to rock the Unimog to-and-fro, digging itself down onto a traction point, before powering out of the sand or rocks where its progress has been halted. Engineers are always excited to share how much stiffer they’ve made a new vehicle, by quoting the ability of a chassis to resist flex. Not all flex is bad, though. In extreme off-road terrain, chassis flex can allow for greater wheel articulation and help tyres remain in contact with the terrain, thereby guaranteeing traction and forward momentum. The Unimog is a case in point. It has a very robust steel ladder frame chassis, but although this platform will last hundreds of thousands of kilometres driving off-road without developing hairline metal fatigue cracks, it’s shaped and welded in a way to flex a bit when required. And that flex, in combination with the Unimog’s massive ground clearance, is what makes these oversized Mercedes-Benz double-cab bakkies so unrivalled off-road. Most of the world drives on the right, and some former British colonies (South African included) drive on the left. You’d imagine that for a Unimog, which rolls most of its life in terrain where there are no roads or rules on which side you should drive, steering wheel configuration doesn’t matter. But in a manner of typical Mercedes-Benz off-road engineering genius, the Unimog is easily adjustable between left- or right-hand drive. The steering wheel, pedals and instrument cluster can be moved across the cabin with ease. So, if you start your trans-African driving adventure or post-apocalypse escape in South Africa, which is a right-hand drive country, and then need to drive on the right in some of those former French colonies on your way to the Mediterranean, a Unimog can become left-hand drive, as you require.